“Vanisha Gould, California native, began singing at the age of 4. Her love for jazz and its culture led her to New York where she currently sings professionally. 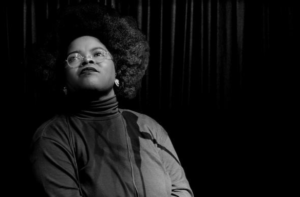 Influenced by Ella Fitzgerald, Nina Simone, Sarah Vaughan, and Billie Holiday, Vanisha has curated her own sound and has performed on some of New York’s best stages. In New York she leads her own band performing original compositions and classics from the Great American Songbook. Born on February 21, 1933, in Tryon, North Carolina, Nina Simone studied classical piano at the Juilliard School in New York City, but left early when she ran out of money. Performing in night clubs, she turned her interest to jazz, blues and folk music and released her first album in 1957, scoring a Top 20 hit with the track “I Loves You Porgy.” In the ‘60s, Simone expanded her repertory in exemplary fashion while becoming identified as a leading voice of the Civil Rights Movement. She later lived abroad and experienced major mental health and financial issues, though she enjoyed a career resurgence in the 1980s. Simone died in France on April 21, 2003. Simone began recording her music in the late 1950s under the Bethlehem label, releasing her first full album in 1957, which featured “Plain Gold Ring” and the title track, “Little Girl Blue.” It also included her lone Top 20 pop hit with her version of “I Loves You Porgy,” from the George and Ira Gershwin musical Porgy and Bess. 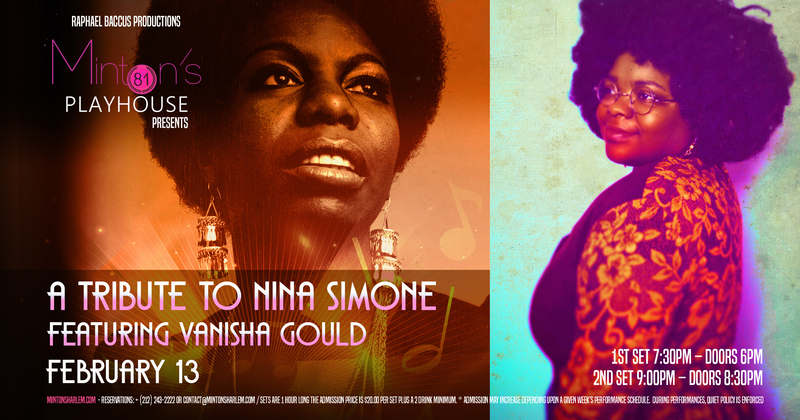 Under different labels, Simone released a bevy of albums from the late ’50s throughout the ’60s and early ’70s, including records like The Amazing Nina Simone (1959), Nina Simone Sings Ellington! (1962), Wild Is the Wind (1966) and Silk and Soul (1967). She also made cover songs of popular music, eventually putting her own spin on such songs as Bob Dylan’s “The Times They Are A-Changin'” and the Beatles’ “Here Comes the Sun.” And she showed her sensual side with tracks like “Take Care of Business” on 1965’s I Put a Spell on You and “I Want a Little Sugar in My Bowl” on 1967’s Nina Simone Sings the Blues. Simone went through a career renaissance in the 1980s when her song “My Baby Just Cares For Me” was used in a Chanel No. 5 perfume commercial in the United Kingdom. The song thus became a Top 10 hit in Britain in 1985. She also penned her autobiography, I Put a Spell on You, which was published in 1991. Her next recording, A Single Woman, came out in 1993. In her final years, reports indicated that Nina Simone was battling breast cancer. She died at the age of 70 on April 21, 2003, at her home in Carry-le-Rouet, France. While she may be gone, Simone left a lasting impression on the world of music, art and activism. She sang to share her truth, and her work still resonates with great emotion and power. Simone has inspired an array of performers, including Aretha Franklin, Laura Nyro, Joni Mitchell, Lauryn Hill and Meshell Ndegeocello. Her deep, distinctive voice continues to be a popular choice for television and film soundtracks.